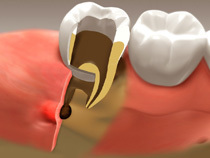 Non-Surgical Gum Therapy - Stephen M. Sgrazzutti D.D.S. These two procedures are generally done simultaneously, may require local anesthesia and are skillfully done by our well trained hygienists under Stephen M. Sgrazzutti D.D.S.’s prescription. 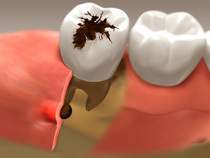 Gum disease does not happen overnight and treatment generally is spread out over time as the effectiveness of a procedure needs to be assessed before the next takes place. Generally, your condition is re-assessed in time and joint decisions are made about your next step. 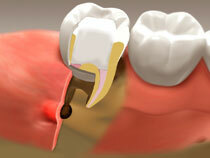 The services of a specialist (Periodontist) may be required should surgical intervention be required. 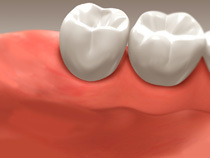 Often surgery allows for complete healing of the gum and bone, reduced mobility of teeth and a greatly improved prognosis. Stephen M. Sgrazzutti D.D.S.’s hygiene team will work with you to assure that you have access to the care that best suits your needs. They will also help you hone your home-care skills so that you can maintain the optimum level of health that you want. 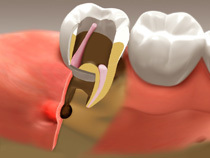 The symptoms described above may be symptoms of TMJ, but they may also be due to another condition. That’s why it’s so important to get a proper diagnosis, so you can treat the problem accordingly. Stephen M. Sgrazzutti D.D.S. will be happy to perform a comprehensive examination and recommend a treatment plan based on your specific symptoms and concerns. Should we determine the need to get other treatment partners involved—like chiropractors, cranio/mandibular specialists, physiotherapists or massage therapists—we can recommend potential treatment partners and can work together to relieve your symptoms.